In this version I’ve replaced bacon with sautéed zucchini. 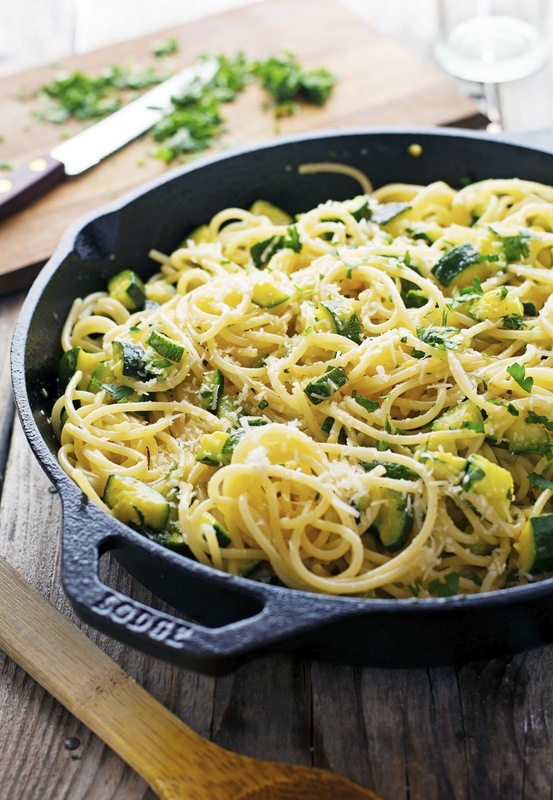 A vegetarian version which is just as easy and as tasty, but definitely lighter. Because if regular carbonara is an indulgent and I-want-to-splurge recipe, this Zucchini Pasta Carbonara is almost a make-it-everyday recipe. And just like regular carbonara, this vegetarian version will make your eyes roll back in your head with pleasure. The trick to making a successful carbonara is to stir the egg mixture quickly into the pasta which should be hot enough to “cook” the egg to make a sauce but not so hot as to make it curdle. Sautéed zucchini are a healthy (and delicious) sub for bacon. 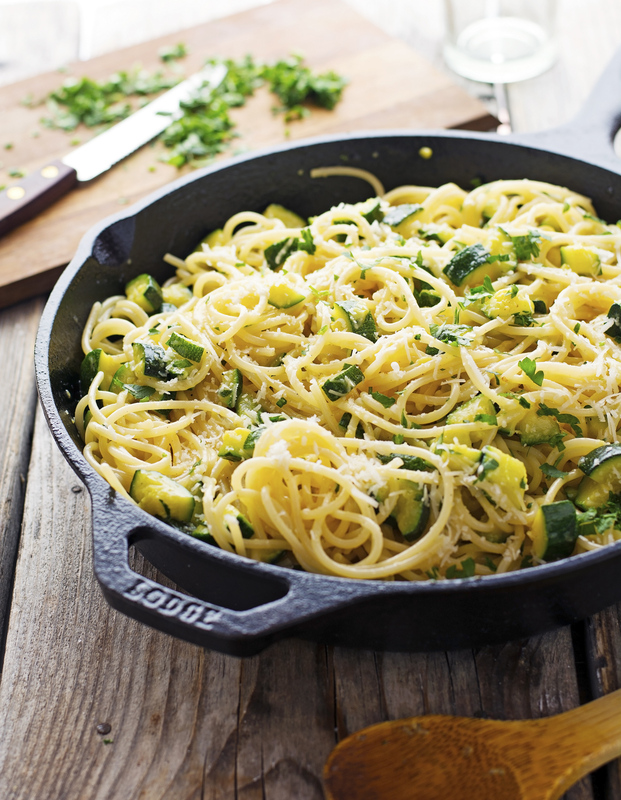 This Zucchini Pasta Carbonara is a healthy twist on a traditional dish: rich without being heavy. A quick and easy recipe to whip up in the middle of the week. You can have it on the table in only 15 minutes, making it a perfect dish for those busy nights. Zucchini Pasta Carbonara Print this recipe! 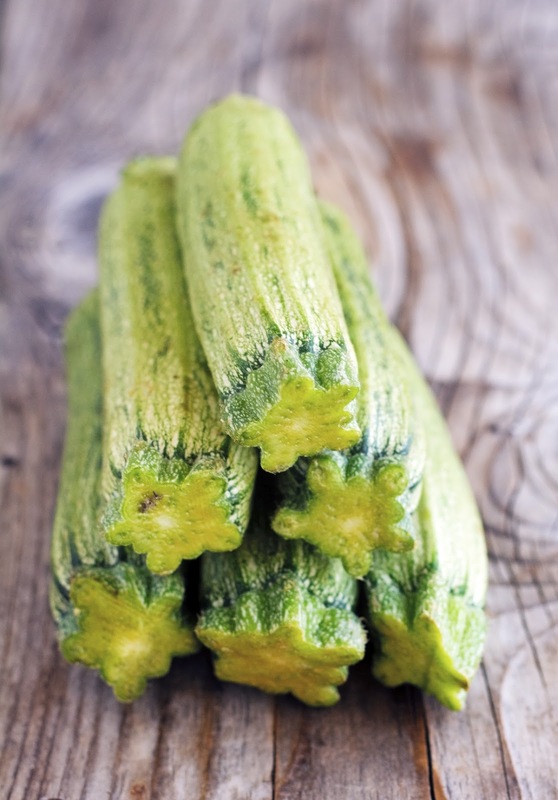 Halve and the quarter zucchini lengthwise and then chop them into about ½-inch pieces. Heat 2 tablespoons of olive oil in a skillet over medium-high heat. Add zucchini, salt, and pepper and sauté for about 10 minutes, stirring every so often. Remove from the heat and set aside to cool. Place egg yolks and grated pecorino romano cheese in a bowl and mix well with whisk to combine. Add lukewarm zucchini, give a good stir and set aside. Bring a large pot of salted water to a boil and cook pasta according to package directions until al dente (i.e., firm to the bite), reserving ½ cup of the pasta water before draining. 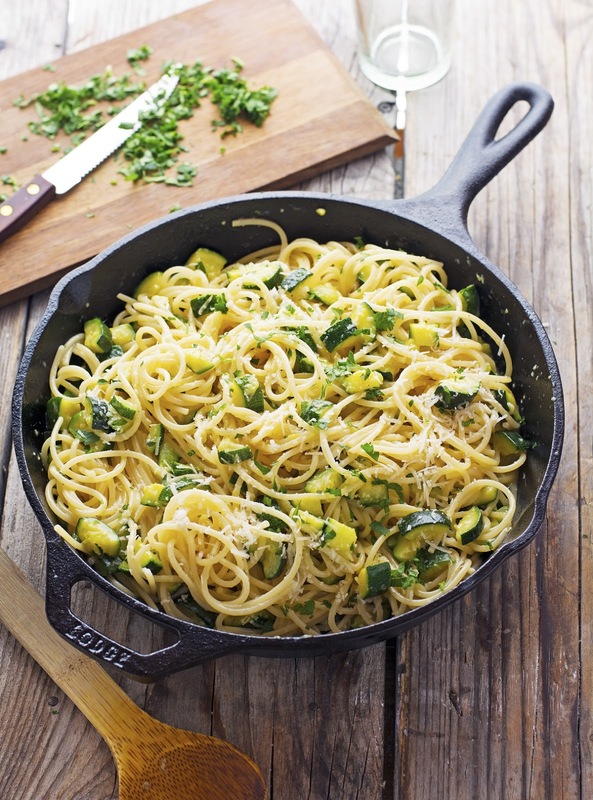 When the pasta is cooked, drain it and immediately toss the pasta in the bowl with the zucchini/egg mixture. Add a ladleful of the reserved cooking water and stir together quickly. No more cooking, otherwise you’ll scramble the eggs. Sprinkle with chopped fresh parsley and grated Parmesan cheese and serve. One serving yields 383 calories, 13 grams of fat, 54 grams of carbs, and 14 grams of protein. In the description, you have grated pecorino romano cheese, but it's not listed in the ingredients. Is the 1 cup Parmesan actually pecorino romano cheese?